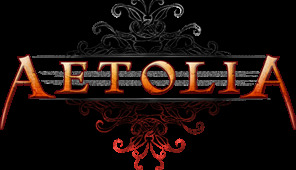 Aetolia is a popular type of game known as a Multi-User Dungeon, commonly termed a MUD. This type of game is a precursor to other modern day multiplayer games like graphical MMOs. In Aetolia, players can fight other players, complete quests to earn gold, kill monsters to earn experience and explore the virtual world, similar to most other video games. The engaging and enthralling draw for many players is that all of this takes place in a world populated by other players, so you work alongside (or against!) the characters of other real people. The entire game is text-based, which means that words describe all of the action you see. While this can be disorienting at first, this actually opens the door to a wide variety of creativity, as players are encouraged to roleplay and use their imaginations to see the game world through their mind's eye. In Aetolia, you can become a top-level fighter, famous for your ability in combat, or you can dedicate your time hunting down monsters to become renowned for your strength. You can learn how to craft custom designs and even run a shop as a merchant for others to purchase your unique items, or you can elect to worship a divine, advancing through the divinity's order to become a priest others revere. If you have the charisma and ability to lead others, you can even guide the land's politics themselves as a guild leader or member of a city council. The opportunities are vast and enthralling! To play Aetolia, you will first need to connect to the land. The easiest way to do this is to simply visit the main website and click "Play Now!" which will load the flash client. For more information on the basic user interface click here (thread about clients). Once you have connected to the land, you will need to create a new character. Simply type in the name you wish to be known by, and Aetolia will lead you through a character creation process. Note that your name should be something fantasy-based, creative and nothing you would see in a chat-room or in pop culture. Ideal names: Laurana, Aiko, Triari. Discouraged names: Sirpeanutbutter, Bob, BrittneySpears. When you've created your character, you are set the enter the land. You will find yourself in a tutorial, designed to teach you the basics of gameplay and the game world. After that, you will graduate into the game itself, where you will be a novice member of your guild and enrolled in an Academy which will educate you in the finer details of Aetolia - completion of quests in the Academy will teach you vital information as well as help you earn important starting gear, such as weapons, clothing and potions. From here, the land is yours to explore - make friends, make enemies, gain money, gain power, become famous or infamous. It's all up to you. Good luck! SCORE: Shows you useful information about your current rankings in the land, any positions you may hold and general information, such as your age and what class you hold. STAT: Information about your vital attributes, and the status of your more technical details, such as hunger, restfulness and where you hold enemy status. This also shows how many lessons and credits you have. HONORS <PERSON>: Lets you see information about other players, including if they are an enemy of your organizations, their age and might, and any fame they may have earned. DEF, DEFENCES: Shows you what defences you have protecting you. GWHO/CWHO: Shows you which guild/citymates are online. NEWBIE <message>: Lets you talk on the newbie channel. Ask your questions there to get help from Guides and other players! GNT/HNT/CT: Lets you talk with your guild/house/city. MESSAGE <name>: Lets you send private messages to other players. LESSONS: Shows you how many lessons you have available. PATH FIND GUILD/CITY/##: Automatically find a path to landmarks. AREAS: Shows you all of the hunting areas, sorted by difficulty, and the coordinates to path there. For more useful commands, syntax and terms, check out HELP BASECOMMANDS and HELP DICTIONARY! Q&A - Ask any of your questions here for experienced players to answer! Academy - Your first step out of the intro! Take courses at your city's academy to learn about Aetolia itself and even earn a diploma for graduation! Learning - The basics of learning your skills. Equipment - The vital equipment every adventurer needs! Gold and Questing - Learn about Aetolia's nifty quest system. Hunting Areas - Information about some of the areas to hunt monsters in Aetolia. Useful commands - A primer on a vast array of helpful commands. Roleplaying - Learn the basics of one of Aetolia's most engaging draws: the art of roleplaying! Curing and Afflictions - Prepare yourself for battle by learning about our affliction system. Clients and Coding - Get fancy with your gameplay and try out some code. Community - Aetolia is more than just a game; we're a virtual community! Ascendril - Arcane elementalists wielding the powers of spirit, water and fire. Bloodborn - Blood-magi, a deadly specialization of the vampires. Cabalists - Scientific scholars toying with the very threads of creation. Carnifex - Soul-stealing, brutal dark knights who command hounds. Daru - Fire-wielding monks with lightning-fast physical attacks. Indorani - Tarot-wielding masters of necromancy who call demons to do their bidding. Luminaries - Fire-channeling spiritualists with angelic companions. Sciomancers - Dark mages channeling the elements of shadow, earth and air. Sentaari - Mind-reading monks who use their own bodies as a weapon. Shamans - Spirit-calling forest-dwellers who master the primal elements. Sentinels - Trackers and hunters with foraged weapons and animal companions. Syssin - Stealthy spies and deadly assassins. Teradrim - Masters of the earth who command sand and stone to do their bidding. Templars - Righteous Knights fighting to bring about a new Age of Dawn, wielding weapons and commanding bladefire. Vampires - The rulers of the night, the blood-drinking Consanguine.